There are numerous rooms and facilities available for use by Ashdown residents. Please enjoy the amenities in Ashdown House; and when you are finished, be sure to leave them clean and in proper condition for the next resident to enjoy. 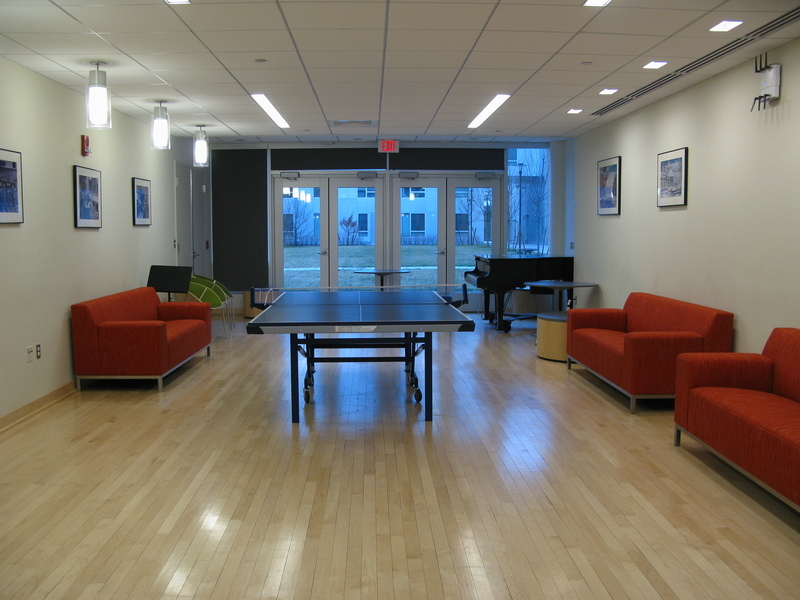 Crafts Lounge with ping-pong table and a grand piano, open for residents to use at any time. Mail Boxes: Mail is placed in boxes by the front entrance. Packages can be claimed at Front Desk. Aerobics Room: There is a variety of equipment here including treadmills, cross-trainers, stationary bikes, steppers and floor mats. Weight Room: There are free weights and a number of weight machines here. Crafts Lounge: This is a large living room type space for casual meetings, reading or just lounging around. 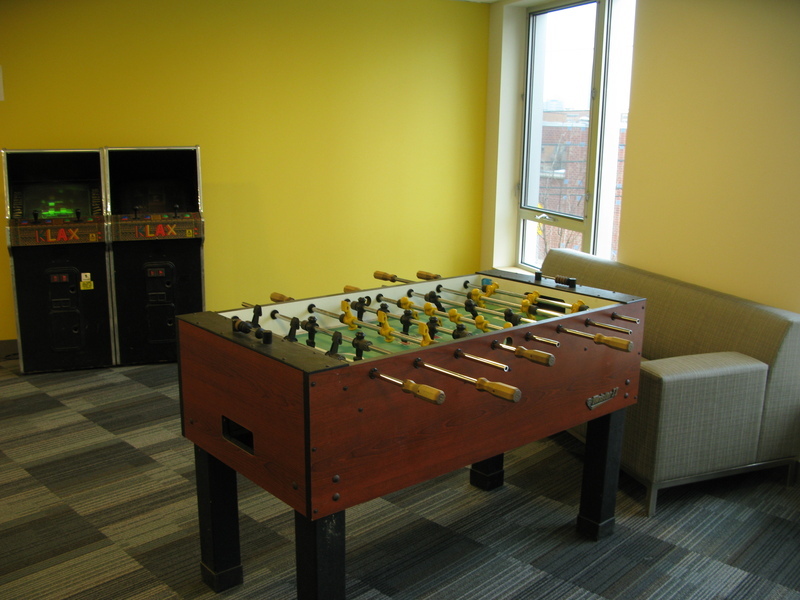 There is also a ping-pong table and a grand piano for residents to freely use at any time. 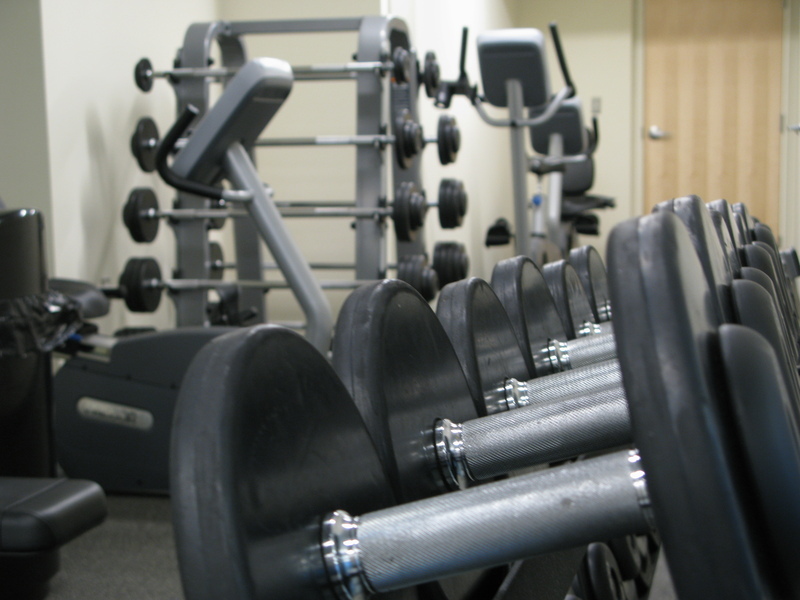 Stay fit with a weight room and exercise room. 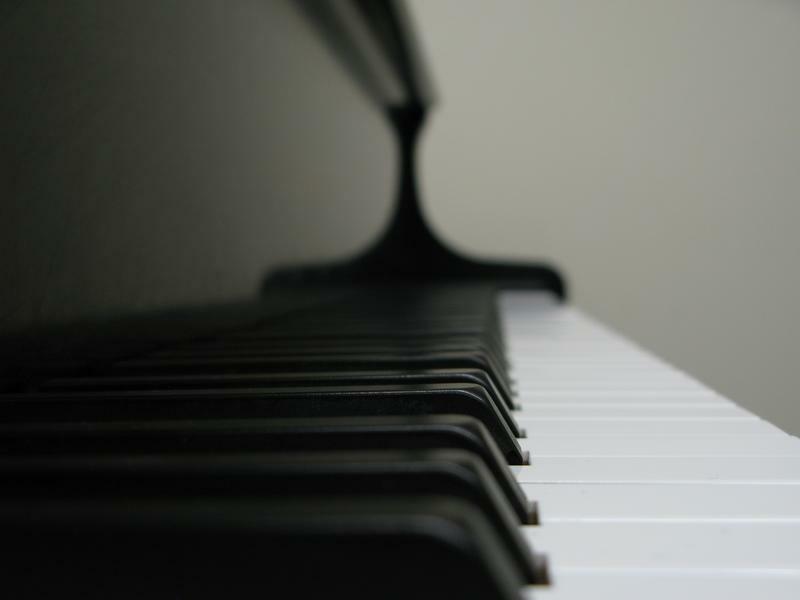 Ingram Music Practice Room: Adjacent to the Crafts Lounge, this smaller room also has a grand piano and is also great when you need a more private music practice environment. Laundry Room: The laundry is located at the top of the main staircase. Fabyan Room: Located on the second floor (above the lobby), this room is intended to be used as a small conference room. The room also houses a number of antique books, some over 100 years old. Feel free to peruse them but handle them with extreme care as the pages will fall apart easily, and do not take them out of the room. No food or drink is allowed here. Bowtie Lounges: These small lounges are located on the first, second and third floors of building 2. They have sofas for lounging as well as arcade games (video games, foosball table). Floor Kitchens: Four large common kitchens (one on each of floors 2-5) are available for use by any resident. Each kitchen has 8 electric burners, a sink, an oven, microwave and TV. Residents living in the 3-bedroom suites without kitchens should plan to purchase personal fridges to store food. All other suites that have their own kitchens are supplied with fridges. Computer Lounge: Located on the first floor near the loading dock at the back of the building, this room has 4 Athena machines and a printer for residents to use. Two grand pianos for any resident to use anytime. TV Room: A large LCD TV with surround sound and a Satellite TV connection is available for use by all residents. A sign-up sheet is posted on the door to reserve specific channels/programs. Bike Room: Located next to the TV room, residents can access the bike room from outside the building using their student ID's. Vending Machines: These are located on the first floor. 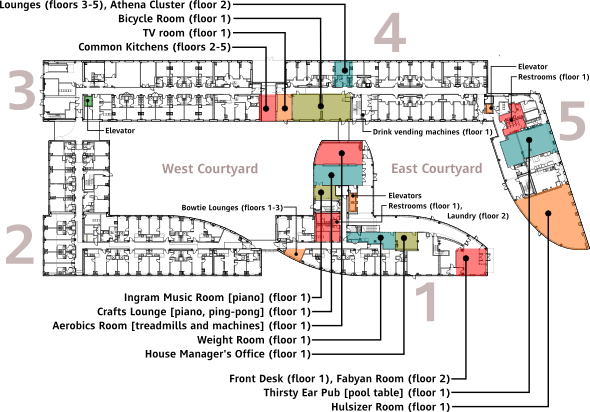 Floor Lounges: Located on floors 3-5, these rooms serve as study areas and casual hangouts. Each one is equipped with sofas and a TV. Hulsizer Room: This is a large open room intended for community events such as Coffee Hour, Sunday Brunch and Dance Parties. Thirsty Ear Pub: The pub is open to all graduate students over 21 years of age, Mon-Fri 8pm-1am. Pub beer and wine are available here. Pool Table: A pool table is located in the vestibule of the Thirsty Ear. It can still be used by residents when the pub is not open. Pool balls and cues can be checked out at Front Desk. Courtyards: The two large grass courtyards can be used by residents at any time, whether for picknicking in the summer sunshine or having a snowball fight in the winter. All gates to the courtyard area are secured from the outside by MIT card access, so they are fine places to enjoy even at night.